Wheelchair Vans, Inc. believes in giving back to our comunnity and those in need. 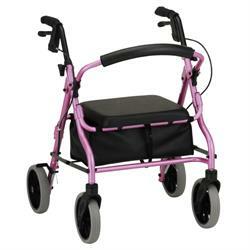 Wheelchair Vans, Inc. understands there are many in need who unfortunately, cannot afford a mobility option. It is our goal to give back to our community. Our next Mobility Scooter Give-Away will be for anyone who is in need of a mobility scooter. 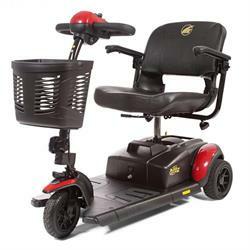 By giving away a mobility scooter, Wheelchair Vans, Inc. can potentially prevent a tragic accident from occurring. One of the founders grandfather, who lived had been home alone, had tripped where the carpet and tile meet, fell, and broke his hip. He was alone & scared for hours. He had to be hospitalized for his injuries and go thorugh months of physically therapy. If Wheelchair Vans, Inc. can prevent one tragic instance like this, it can save the emotional turmoil of an entire family. When consumers opt to do business with Wheelchair Vans, Inc. they are putting their vote of confidence in a company which believes in giving back to the community. To enable more families the ability to potentially prevent a tragic injury, Wheelchair Vans, Inc. offers manufacturer direct pricing on the widest selection of popular mobility scooter brands, power wheelchairs, accessories, lifts, and more; all at factory direct pricing. Details of the entry can be found by visiting: https://www.949vans.com/free-mobility-scooter-giveaway or going to 949vans.com and scrolling down until you see the FREE tab in the navigation bar. Click on this tab for rules of entry. The recipient will be notified on 12/31/2018. That is where Wheelchair Vans, Inc comes in. Our mobility assistance company will help those in need, live the lives they aspire to, having resolved a major impediment to their success, which is a lack of mobility with some of our best mobility scooters and our quality power wheelchairs. When consumers opt to do business with Wheelchair Vans, Inc. they are putting their vote of confidence in a company which believes in giving back to the community.